As an adult this is a light read, very silly. I don't think I'd recommend this book to anyone who gets annoyed with child like mentalities easily. Cause obviously it's a very childish book. I also don't recommend it to anyone under the age of 7 or 8 (yes some kids read that early. ), just because it has some bad behavior and words that can be easily picked up on. 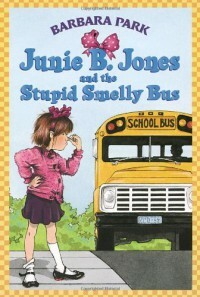 Junie B. says hate and stupid a lot in this first book. Like she hates a kid in her class named Jim and she doesn't want to go on the stupid school bus. So just look out for that if you are looking for a book to read your kid. In these couple months, I'll be reading the whole Junie B. Jones series. Along with my other books. So keep an eye out.